French electronic music from California: "Last Wave", the fifth solo album by the artist and musician Bernard Xolotl, was originally released on cassette in 1982. He named himself after the Aztec god of lightning and death. His music is influenced by the Berlin school of electronic music. This reissue includes a previously unreleased bonus track (not on vinyl)! 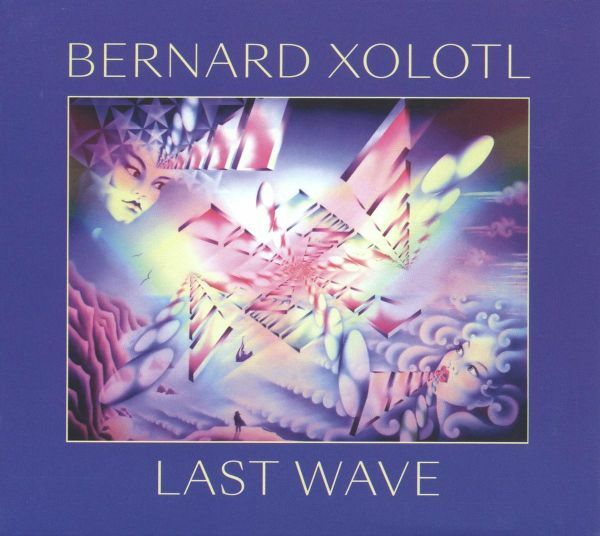 French electronic music from California: "Last Wave", the fifth solo album by the artist and musician Bernard Xolotl, was originally released on cassette in 1982. He named himself after the Aztec god of lightning and death. His music is influenced by the Berlin school of electronic music. Here's the first ever vinyl edition of the amazing electronic album 'Music By Xolotl', originally issued only on cassette by Unity Records in 1978. The responsible artist, Bernard Xolotl, was born in France in 1951. As a teen, he was introduced to electronic music through the works of musique concrete composers like Pierre Henry and Pierre Schaeffer, although he found the early recordings of Pink Floyd to be more inspirational. This is an edition of 500 copies, including a bonus 7-inch and an insert featuring photos and liner notes.